What Is the Purpose of the Longspan Garment Racking? The nature of this racking system is designed to store garments in long runs if required and in an organized and tidy way. The garments can be store in two hanging levels on a rack that sits 2400mm high. Each rack has the space to accommodate 3.6m lineal meters across the top and bottom. The racks are also designed to lock in with one another. This way you can have a limitless line of garment racking to suit the space you have. The beams that cross the frames are adjustable to suit the garment lengths you have. If you need something with longer room, you can adjust the beams in 50mm increments to make the room you need. With two different hanging lengths, you’re sure to have the room you need. Each frame is easy to assemble and comes with everything you need to put it together quickly. No bolts or screws are required to lock this frame into place. 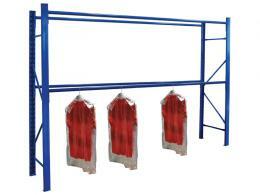 Longspan garment racking is the best system for you. If you have a garment shipping centre, this rack will come in handy to organize and label your shipments. If you have a stock room for a retail store, you can hang items that don’t have the room out front. A warehouse would also be a great place to use this longspan garment racking to store clothing before shipments or deliveries. It allows for access on both sides so aisles can be created to hang these garments. A retail store owner with a small space would appreciate the storage these racks provide. The shipping employee or delivery driver wanting to organize their shipments needs the racking to ensure everything is done in order and on time. The longspan racking also allows the factory worker to place completed garments for shipment in a warehouse setting. Each rack has a dimension of 2400mm x 1800mm x 500mm. Select from the starter pack which has two bays as a minimum. You can also choose the extension pack that gives the racking an expanded space to use. 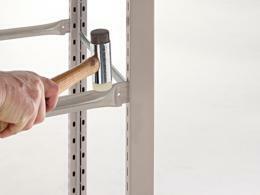 All racking is boltless and assembles easily. 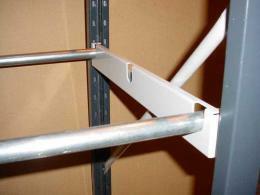 Racks can be joined together to create long spans of garment hanging space. 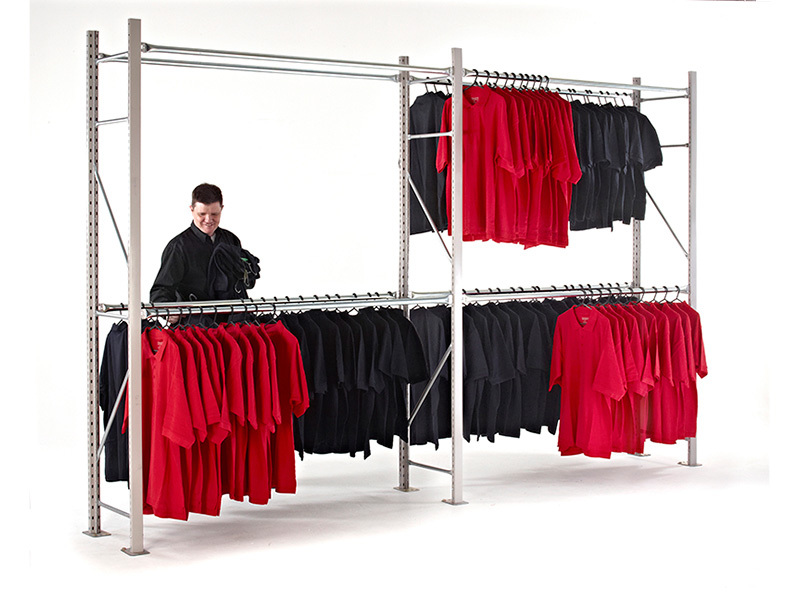 As with our other orders, this garments racking comes with a complete 12 month warranty from all parts and labour. This is what makes The Workplace Depot the choice for all your racking needs.